Food for ordinary people during the Regency period were limited to what they could locally "procure" at the time, either by growing it themselves, trading for it at market, purchasing it from street merchants or by poaching or foraging for it wherever they could find it. Food sources were always local in nature. What was plentiful in one location might be terribly scarce in another. For the British Army, the food situation was highly dependable on a rather undependable Commissariat. When in winter quarters, the standards of supply were much easier to maintain than when the army was actively engaged in a campaign. For the soldiers, officers and enlisted alike, the primary source of food and drink was the issued ration, but officers would, wherever possible, supplement the rations with local purchases, hunting, foraging, packages from home or from captured French stocks. The mess allowed the officers to pool whatever resources they did have, save money and share the good fortune of extra rations between them. But mainly, the mess provided somewhere to relax and unwind with their peers. It was also a safe place to indulge in alcohol without having to mingle with common soldiers in local establishments. 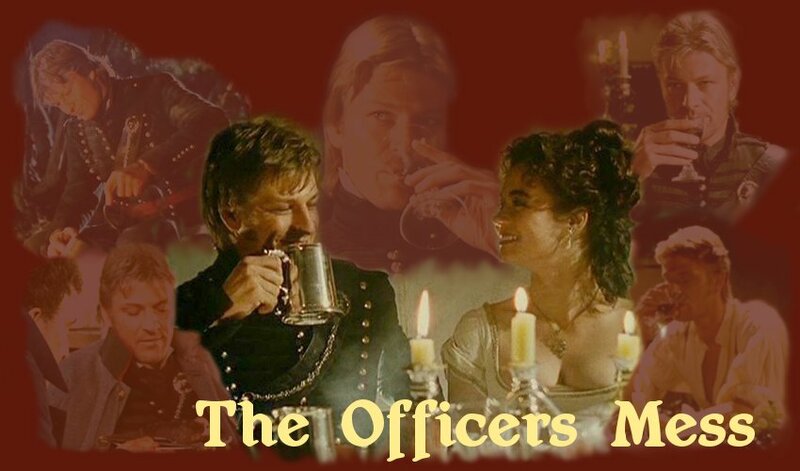 Richard Sharpe, however, was not particularly fond of the Officers Mess. He was full aware that he would never be fully accepted by his fellow officers and he knew he lacked many of the social graces neccessary to feel comfortable among the Gentleman class. He also lacked the funds that would allow him to fully partake of all that the mess had to offer. He was much more likely to join his fellow Riflemen around the campfire to partake of their simple meals, cheap drink and good company. Here is offered a sampling of what the Regency soldier, officer and enlisted alike, at home and abroad, would likley have experienced at mealtimes, both on a daily basis and for special ocasions. Got any camp cooking recipes? Recipes for food served at the Regency table? Know of any campaign specialties? Share it here! Submit it to Officers Mess Contributions! Check back often to see what's new! "Take two quarts of water, and boil a nice fowl or chicken, then put in the following ingredients, a large white onion, a large chilly*, two teaspoonsful of ginger pounded, the same of currystuff**, one teaspoonful of turmeric, and half a teaspoonful of black pepper: boil all these for half an hour, and then fry some small onions, and put them in. Season it with salt, and serve it up in a tureen. Obs. - It will be a great improvement, when the fowl is about half boiled, to take it up and cut it into pieces, and fry them and put them into the soup the last thing." "* The pod of which Cayenne pepper is made." ** Composed of cumin, coriander and mustard to accompany cayenne, ginger, tumeric and black pepper. Dr. William Kitchiner, The Cook's Oracle, (London: John Hatchard, Picadilly, 2nd edition, 1818), page 335, number 249. Dr. Kitchiner (c1775 - 1827) was a physician and a gourmet who, in his preface, claimed to "endeavour to hold the balance even, between the agreeable and the wholesome, and the Epicure and the Economist" throughout his career, including in this cookery book. This recipe reflects the influence of the Indian Subcontinent on British cookery of the 18th and 19th century. "Currystuff" was a mixture of spices, of which there are many receipes in old British books and journals. The word curry is derived from the Tamil word kari. Mulaga means pepper and tawny (tanni) means water or broth, hence "peppery broth" is a good translation. To get the freshest taste, prepare the spices only when you need them. To prepare the spices in the method of the Regency cook, powder the ginger and turmeric with a fine grater; pound the other spices in a heavy mortar and pestle. As a modern convenience, you can use a coffee or spice grinder. Boil chicken in water, about half an hour if jointed or more if still whole. Add one chopped onion and spices. Simmer for about half an hour. Fry other chopped onion in butter until transparent, 5 to 10 minutes. Remove chicken from broth; let cool for 10 to 15 minutes. Cut meat from bones into bite-sized pieces, discarding bones and skin. Fry chopped chicken with fried onion for 5 to 10 minutes. Return chicken and onion to broth. Add salt. Simmer for 10 minutes more. Yields about 15 large 375 mL (1 1/2 cup) servings. Stew peas, lettuce, and onions, in a very little water, with a beef or ham-bone. While these are doing, fry some mutton or lamb steaks seasoned, of a nice brown: three quarters of an hour before dinner, put the steaks into a stew-pan, and the vegetables over them; stew them, and serve all together in a tureen. If beef or ham-bone are not to be had for stewing with the vegetables, lamb shank or oxtail or neck bones will suffice. Hotch-potch or Hodge Pot is one of those homey meals that the typical Regency soldier would be familiar with and would have carried the knowledge of with him wherever he was sent. For those from rural England, prior to taking the King's shilling, it would have been a frequent visitor to the table. It is easily prepared from what might be on hand, requires little in the way of seasonings, and is easily done over a campfire in either a cauldron or the smaller cooking pots that Riflemen were issued. Soldiers would contribute whatever they had to the communal pot with whatever vegetables could be foraged. All too often, the meat that would be stewed with the vegetables was the infamous "salted beef", a common ration commodity. For the fried steaks, all too often they came from the rump of some freshly-killed French cavalry horse. The amount of water would vary depending on how much meat and vegetables went into the pot. The less they had, the more water they would add and the Hotch-potch would become a stew or soup. Normally, the fried steaks would be tossed into the pot to be stewed. Of course, among the enlisted soldiers, serving it up in a tureen would be dispensed with. Slice tomatoes and sprinke with salt. Let set overnight in large bowl. In the morning, pour off any liquid and put the tomatoes into large, heavy kettle with enough vinegar to cover ingredients. Add the onions and peppers, sugar and spices. Let simmer until soft. 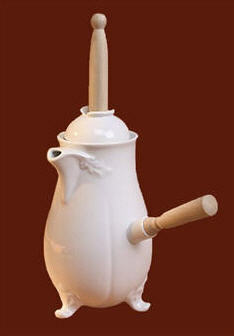 Put up in a sealable stoneware jug large enough to hold all. Piquant brown steak sauces such as A1 or HP would not be produced commercially until the late 1830s, however, with the ready availability of spices and fresh tomatoes on the Indian Subcontinent, a homemade version existed early on. Because its preparation was more involved than what the average soldier on deployment was capabale of, it was generally found only in the more permanent established officers mess and in the residences of high-ranking officers and government officials. There were as many recipes for such sauces as there were cooks. Many of them were duly recorded in journals and letters home, making their way back to England to be added to those simpler, less spicy ones already in use by cooks on the homefront. Salmagundi is an old staple of the British table; a salad comprised of cooked meats, seafood, vegetables, fruit, leaves, nuts and flowers and dressed with oil, vinegar and spices. The term does not refer to a single recipe but describes the grand presentation of a large plated salad comprising many different and disparate ingredients. These can be arranged in layers or geometrical designs on a plate or mixed together. The ingredients are then drizzled with a dressing. The dish aims to produce wide range of flavours and colours and textures on a single plate. Often recipes allow the cook to add various ingredient which may be available at hand producing many variations of the dish. Flowers from Broom and Sweet violet were often used. Salmagundi is also purportedly a meal that was served on pirate ships. It is a stew of anything the cook had on hand, usually consisting of chopped meat, anchovies, eggs, and onions, often arranged in rows on lettuce and served with vinegar and oil, and spiced with anything available. Various recipes for it can be found in English cookbooks as far back as The Good Huswives Treasure, Robert May, 1588-1660 and as late as Mrs. Hill's New Cook Book, originally published in 1867. Take two or three Roman or Cabbage Lettice, and when you have washed them clean, swing them pretty dry in a Cloth; then beginning at the open End, cut them cross-ways, as fine as a good big Thread, and lay the Lettices so cut, about an Inch thick all over the Bottom of the Dish. When you have thus garnished your Dish, take a Couple of cold roasted Pullets, or Chickens, and cut the Flesh off the Breasts and Wings into Slices, about three Inches long, a Quarter of an Inch broad, and as thin as a Shilling; lay them upon the Lettice round the End to the Middle of the Dish and the other towards the Brim; then having boned and cut six Anchovies each into eight Pieces, lay them all between each Slice of the Fowls, then cut the lean Meat of the Legs into Dice, and cut a Lemon into small Dice; then mince the Yolks of four Eggs, three or four Anchovies, and a little Parsley, and make a round Heap of these in your Dish, piling it up in the Form of a Sugar-loaf, and garnish it with Onions, as big as the Yolk of Eggs, boiled in a good deal of Water very tender and white. Put the largest of the Onions in the Middle on the Top of the Salamongundy, and lay the rest all round the Brim of the Dish, as thick as you can lay them; then beat some Sallat-Oil up with Vinegar, Salt and Pepper and pour over it all. Garnish with Grapes just scalded, or French beans blanched, or Station [nasturtium] Flowers, and serve it up for a first Course." The difficulties of provisioning a fighting force were no different for Wellington than they were for Hannibal. Today, we understand meat provides protein and bread provides carbohydrates, vital to keep soldiers in top fighting form. Back in days of cannon, cavalry, swords and muskets, the semantics meant little: men needed meat and bread. Dry bread and salted meat were the mainstay of soldier's fare until modern preservation techniques were developed. While hardly a culinary delight, it was these two commodities that kept the British on their feet. During the Napoleonic wars the British armys standard ration was "corned" beef, an Anglo Saxon word coined in the early 1600s, to describe salt-cured meat, referring to the corns or salt crystals, some as big as corn kernels, used in the dry curing process. They were rubbed into the beef to keep it from spoiling for long periods. The best of this salted beef came from Cork. From the late 1600s until the early 1800s, the beef curing (salting) industry was the largest industry in Irelands port city of Cork, which exported huge quantities of salt beef, or corned beef, to England. It wasn't long after the British arrival on the Penninsula that the English started calling it bully beef (from the French term for boiled beef, bouille). Meat was prepared in one of two ways: boiled and roasted, or baked. Scottish soldiers tended to boil their meat, while the English preferred roasting. One military official writing on the subject in the 1790s thought "roasted or baked meat will occasion thirst more than boiled food and broth; except the latter are very salty." 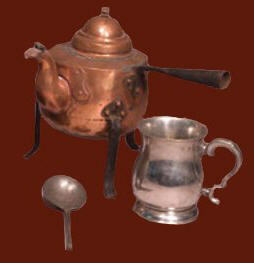 By the beginning of the Penninsular War boiling had taken over as the most common method of preparing the ration meat. Sometimes oatmeal and potatoes were included with the meat into soups or bouille, especially when Scottish soldiers had their hands in the stewpot. Other favoured vegetables in the soldier's diet included cabbage, peas, and beans, and each were prepared as the cook saw fit. A variety of unfamiliar vegetables made their way into the pot as well as hungry soldiers made use of local provisions, introducing items such as kale and chard. One of Sharpe's tasks when serving as Quartermaster was to butcher the beef, retained most often 'on the hoof', for the regiment. When lack of forage or weather conditions required it, the live cattle had to be slaughtered en masse, salted and sealed into barrels, often when the army was rapidly on the move. Days later, when the army was given respite from the march, the beef would be ready for use. Put the part that has the hard fat into a stew-pot with a small quantity of water: let it boil up, and skim it thorought; then add carrots, turnips, onions, celery and a few peppercorns. Stew till extremely tender; then take out the flat bones, and remove all the fat from the soup. Either serve that and the meat in a tureen; or the soup alone, and the meat on a dish, garnished with some vegetables. The following sauce is much admired, served with the beef: Take half a pint of the soup, and mix it with a spoonful of ketchup, a glass of port wine, a teaspoonful of made mustard, a little flour, a bit of butter, and salt; boil all together a few minutes, then pour it round the meat. Chop capers, walnuts, red cabbage, pickled cucumbers, and chives or parsley, small, and put in separate heaps over it. Salt a bit of brisket, thin part of the flank, or the tops of the ribs, with salt and saltpetre five days, then boil it gently till extremely tender: put it under a great weight, or in a cheese-press, till perfectly cold. It eats excellently cold, and for sandwiches. 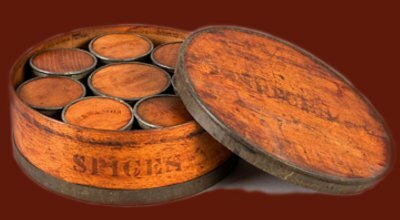 The Rum Ration was not only a daily tradition but also a part of a soldier's rations in the British Army as well as on board vessels of the Royal navy during the eighteenth and nineteenth centuries. In 1740 British Admiral Sir Edward Vernon, returning with his fleet from the Caribbean, decided to dilute with water the daily ration. The resulting beverage quickly became known as "Grog" after Vernon who had been nicknamed "Old Grog" due to the fact that he wore cloaks made of grosgrain which was a coarse fabric. Soon, the water was replaced by lemon juice or lime juice which had been proven to be an agent which helped prevent scurvy, a disease which affected seamen due to a lack of vitamin C in their diet. Similar to the scurvy inflicted on Sailors, Soldiers on land were susceptible to a form of dry land scurvy, especially during the winter months when fresh fruits and vegetables were scarce. While soldiers preferred their rum undiluted, they would often mix it with other beverages in their canteens in an effort to make it last longer. In the Penninsula and throughout much of the remote British Empire, citrus juices were readily available when in season. A more pleasant variation on this traditional drink was the Hot Rum Toddy. The name toddy seems to have been adopted by British sailors during the early 1600s from a Hindu word tari meaning the sap of a palm tree. In Asia, tari was fermented to create an alcoholic beverage. What evolved as the Hot Rum Toddy was a mixture of hot water, sugar, spices, lemon juice and butter. A Rum Toddy was often administered as a remedy for minor infirmities, to induce sweating and to "take the chill off". The quickest way to prepare a toddy was for a sugar, spice and butter paste to be kept ready-made in a crock. 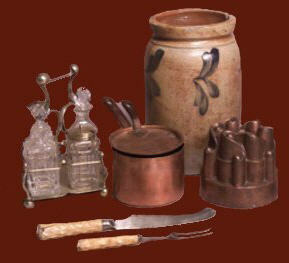 The paste would be added to a tankard of water, rum and lemon juice and warmed by a hot poker from the hearth. The following recipe is inspired by historic recipes. Mix your dry and wet ingredients (except the hot water and rum) into a paste. Pour into a serving vessel one cup of boiling water. Stir in the paste until dissolved. Add an ounce of rum. Garnish with a curl of lemon peel and a cinnamon stick. Serve when hot. Often, soldiers would find a change in their daily rations, depending on where they would end up. Soldiers entering Portugal by way of Oporto were introduced to port and fortified wines which served equally well in toddy recipes. 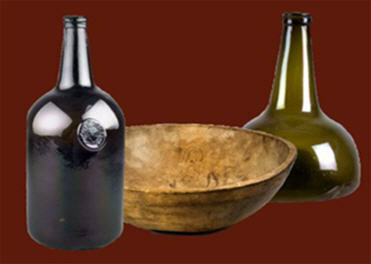 In India, Arack was the alcohol most readily available. The British Cavalry that went into Northern Europe to assist the Prussians encounterd potato-based vodka. Cut sausage into small pieces and brown in frying pan. Add potato, onion and sausage to pot and cover with water. Add salt and pepper to taste, cook until potatoes are done, about 30 minutes. Add red kidney beans, undrained, and sugar. Heat to boiling point and thicken with flour and water (just thicken slightly). The history of the British Army is filled with long deployments to foreign shores. The Commissariat was responsible for provisioning the army when it was afield, but all too often distance, terrain, lack of transportation and any number of other possible calamities would prevent rations and food items that provided a taste of home from reaching the troops. Soldiers would then turn to the local economy to fill their bellies. The myriad spices and exotic fruits, herbs and vegetables of India and Africa, Australia, the Pacific, North and South America and Asia were frequently adapted to traditional British cooking and later found their way back to England to undergo a further adaptation to homegrown foods. Wash your Peas, cut in some Lettuce, with a Lump of Sugar, some fine Oil, a few Mint Leaves cut small, with Parsley, Onions, Shallots, Garlick, Winter Savory, Nutmeg, Salt, Pepper, and a little Broth; put them over the Fire, and when 'tis almost ready, poach some new Eggs in it, making a Place for each Egg to lie in; then cover your Stew pan again, and boil your Eggs with a little fire upon the Cover; then slide them into your Dish, and serve them. For making a Gooseberry Tart. Taking your Crust, then sheet the Bottoms of the Patty-pans, and strew them over with Powder Sugar; then take green Gooseberries, and fill your Tarts with them, and lay a Layer of Gooseberries and a Layer of Sugar; close your Tarts, and bake them in a quick Oven, and they will be very fine and green. A fine Paste for Patty-pans. Work up a Pound of Flour with half a Pound of Butter, two Ounces of fine Sugar, and Eggs. Prepare as much bread and milk in a small bowl as will fill an asset, and put in a piece of fresh butter in it; pick and clean a handful of currants, and boil altogether, cast four eggs and put them in it; season with cinnamon, nutmeg, and sugar. After the eggs are in, stir it on the fire till it thicken, but don't let it come a-boil; then butter a bowl, and put the pudding in it; set it before the fire, or in an oven, and when it is fastened, turn it out into the asset, and serve it up. Cut and pound four ounces of Cheshire cheese, one ounce and a half of fine butter, a tea-spoonful of white white pounded sugar, a little bit of mace, and a glass of white wine. Press it down in a deep pot. A parton (partan, partane, perton, perten, pertine, pertein, pertian) is, apparently, Gaelic for crab. Of course, Patrick Harper would likely have educated his officer on the subject when they were pulling guard duty on supply ships in the ports of Northern Spain while awaiting replacements prior to the Pyrenees Campaign of 1813. Fresh fish and shellfish would have been abundant, adding some variety to the soldier's steady diet of ration beef. First cleanse them thoroughly by scalding; then rub the body and legs (feelers?) with garlic, and after cut the whole into small pieces and fry in olive oil; one or two fresh gathered Chili peppers being introduced as a seasoning. A good many husbands are utterly spoiled by mismanagement in cooking and are not so tender and good. Some women keep them constantly in hot water; others let them freeze by their carelessness and indifference. Some keep them in a stew with irritating ways and words. Some wives keep them pickled, while others waste them shamefully. It cannot be supposed that any husband will be tender and good when so managed, but they are really delicious when prepared properly. In selecting a husband, you should be guided by the silvery appearance as in buying a mackerel; not by the golden tint as if you wanted salmon. Do not go to the market for him as the best ones are always brought to the door. Be sure to select him yourself as tastes differ. It is far better to have none unless you will patiently learn how to cook him. Of course, a preserving kettle of the finest porcelain is best, but if you have nothing better than an earthenware pippin, it will do---with care. Like crabs and lobsters, husbands are cooked alive. They sometimes fly out of the kettle and do so become burned and crusty on the edges, so it is wise to secure him in the kettle with a strong silken cord called Comfort, as the one called Duty is apt to be weak. Make a clear, steady flame of love, warmth and cheerfulness. Set him as near this as seems to agree with him. If he sputters, do not be anxious, for some husbands do this until they are quite done. Add a little sugar in the form of what confectioners call kisses, but use no pepper or vinegar on any account. Season to taste with spices, good humor and gaiety preferred, but seasoning must always be done with great discretion and caution. Avoid sharpness in testing him for tenderness. Stir him gently, lest he lie too flat and close to the kettle and so become useless. You cannot fail to know when he is done. If so treated, you will find him very digestible, agreeing with you perfectly; and he will keep as long as you choose, unless you become careless and allow the home fires to grow cold. Thus prepared, he will serve a lifetime of happiness! In Sharpe's day, retired from service on Lucille's farm in Normandy, it was unlikely that chocolate was available in a form finished for use in baking or for making hot chocolate. Processed and mass-produced chocolate bars would not appear until after 1847. But, chocolate had made an appearance in Europe long before that. On cold dreary days in winter, it was likely that Richard would come in from chores, draw near the fire and smell the cocoa nibs roasting, and watch them being being husked and ground into chocolate paste. After this point, the hardened paste would be chopped and melted and mixed with spices to make chocolate tablets, which were then made into hot chocolate or chocolat chaud. 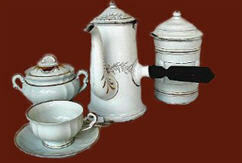 Hot chocolate was usually prepared with water, sometimes with milk if available. It was frothed with a chocolate stick--a stick with a carved knob and often rings, which was twirled rapidly up and down in the mixture to produce a rich foam. Called molenillos in Spanish, Sharpe would likely have seen these hand-carved wooden stirrers used around the campfires in Portugal and Spain and the chocolate beverage would have been served up in whatever tin cups or earthenware mugs were at hand (and likely with a liberal splash of rum or brandy). At home in Lucille's kitchen however, chocolat chaud would have been served more regally in a porcelain, copper or silver vessel called a coquemart. The chocolate tablets would be melted in the chocolate pot and twirled into a creamy froth using the moulinet, plunged through a hole in the lid of the specially-designed chocolate pot. Using the proportion of ten cups to the pound of chocolate, take as many tablets as you wish cups; melt the plain (unsweetened) chocolate in a coffeepot in which you have put water to the amount that you want to make; boil it and let it simmer a little over hot coals; when it is melted . . . mix the yolk of an egg with some (previously prepared) chocolate and put it in your coffeepot. Put it back over a gentle fire and stir well with the chocolate stick. It must not be allowed to boil at all after you have put the egg yolk in; the number of egg yolks nust be in proportion to the number of cups you make. You need one for four or five cups. Plain and simple, a taste-of-home favorite of British soldiers, young or old, active or retired, at home or abroad. Remove all fat from meat and cut into pieces, 1/2 inch square. Remove skin from kidney and cut into small pieces. Add onion (cut up roughly). Nearly cover with cold water or a mix of water and a good stout dark beer, Guinness will do nicely. Mix flour in a cup into a paste with cold water. Add to meat, kidney, onion and water in saucepan. Season with pepper and salt. Bring to boil then allow to simmer gently for 1 1/2 hours, or till meat is tender and broth reduced to a nice gravy. Place on pie dish. Cover with pastry and bake in oven until pastry is golden brown. Richard Sharpe lived his retirement out during a time of great expansion of British influence, especially into the exotic spice areas of the world. The spice traders brought many delicious, nutritious and medicinal products to Europe, one of which is ginger. When you are feeling a bit low, nothing will perk you up quite like a nugget of ginger candy and a cup of hot China tea. Ginger is also used to settle upset stomachs and freshen the breath. Culinary ginger comes from the tuberous root of a plant which grows in India and the Antilles; its taste is bitter and aromatic. In the Antilles it is used heavily as it holds the place of pepper to excite the appetite. One eats it in salad in the places where it grows: for the rest of the world it is brought to us dry or candied. Crush some crystallized ginger, your choice of nutmeat, maybe some flower petals in a mortar until well blended. Form into squares or balls and roll in freshly crushed sugar. To preserve, pack between papers in a wood box. They will keep indefinitely. Dry one pound of flour, and mix with six ounces of finely-pounded sugar; beat six ounces of butter to a cream, and add to three eggs, well beaten, half a pound of currants washed, and nicely dried, and the flour and sugar; beat all for some time, then dredge flour on tin plates, and drop the batter on them the size of a walnut. If properly mixed, it will be a stiff paste. Bake in a brisk oven. In Sharpe's time, cookbooks were few and far between as were published recipes as we find in papers and magazines today. Recipes were most often handed down from mother to daughter, often just by word of mouth as illiteracy was more common than those taught to read. Why a recipe is named for an ingredient when the ingredient is not to be found within is easily explained when foods were regional and preservation methods were not always such a sure thing. Perhaps a favorite recipe requiring plums, even dried ones, would find currants being substituted because a frost got the plums or because the end of winter was near and the store of dried plums had run out. Regardless, dried currants, dried plums and rasins were generally interchangeable in recipes of the time. There's just something about Englishmen and puddings that just seem to go together and no matter how long Richard Sharpe campaigned in far-flung countries or how long he lived on Lucille's farm in Normandy, he was very much an Englishman. Surely, within a short time, Richard would have had Lucille schooled in the makings of good old British puddings, both savory and sweet. Puddings, to the British, are like meatloaf and chocolate brownies are to Americans. There's a recipe for every household and each cook generally had their own special secret ingredient or technique that they would pass along to their children. By the time Sharpe's daughter, Dominique, married the very British Earl of Benfleet, she too would have been schooled in the preparation of these very English dishes. Boil them till fit to mash; rub through a colander, and make into a thick batter with milk and two eggs. Lay some seasoned steaks in a dish, then some batter; and over the last layer pour the remainder of the batter. Bake a fine brown. If kidney, split and soak it, and season that or the meat. Make a paste of suet, flour, and milk; roll it, and line a basin with some; put the kidney or steaks in, cover with paste, and pinch round the edge. Cover with a cloth, and boil a considerable time. The same proportions of flour and suet, and half the quantity of fruit, with spice, lemon, a glass of wine or not, and one egg and milk, will make an excellent pudding, if long boiled. Mix by degrees a pint of good milk with a large spoonful of flour, the yolks of five eggs, some orange-flower water, and a little pounded cinnamon. Butter a basin that will exactly hold it, pour the batter in, and tie a floured cloth over. Put in boiling-water over the fire, and turn it about a few minutes to prevent the egg going to one side. Half an hour will boil it. Put currant-jelly on it, and serve with sweet sauce. Wash three spoonfuls of the seed; put it into the dish, with a crust round the edges; pour over it as much new milk as will nearly fill the dish, two ounces of butter warmed with it, sugar, shred lemon, and a little scrape of ginger and nutmeg. As you put it in the oven, stir in two eggs beaten, and a spoonful of shred suet. A cast iron cauldron is perfect for slow cooking over open campfires. Able to hold large volumes, these monster pots have a rich history of use, dating back for centuries. 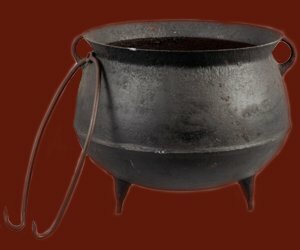 In early times, cauldrons and potjie, a cauldron cousin, were associated with witchcraft, and thought to have magical properties. For the Rifles, in the Penninsula in particular, the traditional British Army cauldron became useless as they moved quickly and often outdistanced the baggage trains that carried the burdensome cast iron monsters. 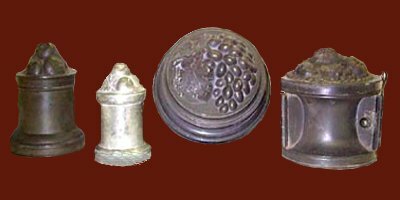 For the Light Infantry and the Rifles, the solution was to issue small cookpots to be shared by groups of 4 to 8 soldiers. The most common use in the field was always stew or soup made from boiled beef. The cauldron liquid will rapidly become broth. Take advantage of this. You can probably safely keep using the same liquid from day to day if you boil it *thoroughly* each time and keep it covered in between. Don't worry about mixing different kinds of meat in the broth; most recipes don't distinguish too much by saying "boil it in fair broth" and don't mention whether it's chicken broth, mutton broth, or whatever. Boil your meats *large*. Whole chickens. Whole legs of mutton. Carve them when you serve and not before. This makes it easy to get the meat out of the pot -- you won't be fishing around for lots of little bits, just for one big chunk. And you can boil different kinds of meat together without them getting mixed up, apart from the fact that the broth will be mixed. You'll need pipkins or other small pots for making sauces and so forth. The common sauce-making method is to take some of the broth, put it in a separate saucepan, add flavourings and thickenings, then serve the meat (whole) on a dish of sippets with the sauce poured over. Most recipes refer to "skumming" the broth (i.e. skimming off the crud that floats to the top, but don't skim off all the fat -- the fattest part of the broth is especially good for making sauces. In a large enameled cast-iron casserole or stew pot, heat 3/4 cup olive oil over medium heat with the qoras and the heads of garlic and cook until the qoras are a little soft, about 12 minutes. Remove one of the qoras, chop, and set aside with 1 head of the garlic. Separate the cloves of the remaining head of fried garlic, peel, put the garlic and the remaining 2 qoras in a food processor, and pulse until the mixture is in tiny particles. Set aside. In a small saucepan, heat 1 tablespoon olive oil over medium heat, then cook the tomatoes until soft, about 5 minutes. Remove and set aside. Pat dry the fish with paper towels. Cook the fish in the same oil that the qoras and garlic were cooked in over medium heat for 5 minutes without turning. Pour the processed garlic-and-qoras mixture over the fish. Add the sautied tomato to the fish. Add 1 teaspoon of the paprika and the boiling water and season with salt. Reduce the heat to medium-low and cook the fish until nearly flaking, about another 10 minutes. Remove the fish with a slotted ladle and reserve, keeping warm. Add the potato quarters to the casserole or pot you cooked the fish in. Cook until soft, about 15 minutes. Remove the potato and set aside. Pass the broth in the casserole through a fine mesh strainer. Salt if necessary. Remove 1 cup of the broth and set aside, then pour the remaining broth back into the casserole or pot with the saffron. Bring to a boil and add the rice. Reduce the heat to low and cook for 20 minutes, uncovered. The rice should look like a risotto when done. Keep covered till ready to serve. While the rice cooks, prepare the sauce for the rice. Peel the second reserved head of garlic and crush in a mortar. Add the boiled potato to the mortar and mash well with the garlic. Transfer to a medium-size bowl and slowly pour 1/2 cup of the reserved fish broth and the egg yolk into the mortar and blend until smooth. While stirring all the time, slowly drizzle in 2 tablespoons of the olive oil until the mixture thickens like mayonnaise. Season with salt and pepper and serve with the rice as a first course. Prepare the fish sauce. In a mortar, pound together the reserved chopped qoras, chopped garlic, and parsley into a paste. Add the remaining 1/2 cup reserved fish broth, the remaining 2 tablespoons olive oil, the lemon juice, and the remaining 1/2 teaspoon paprika and season with salt and pepper. Blend thoroughly and serve on the side with the fish as a second course. Take four pounds of freshly-killed venison, cut off from the bones, and one pound of ham in small slices. Add an onion, minched, and black pepper to your taste. Put only as much water as will cover it and stew it gently for an hour, keeping the pot closely covered. Skim it well and pour in a quart of boiling water. Add a head of celery cut small (can substitute with celery seed) and three blades of mace [an East Indian spice: an aromatic spice consisting of the dried external fibrous covering of a nutmeg]. Boil it gently two hours and a half; then put in a quarter of a pound of butter, cut small and rolled in flour, and half a pint of port or Madeira. Let it boil a quarter of an hour longer and send it to the table with the meat in it. Cut up three large, but young and tender rabbits, or four small ones (scoring the backs), and dredge them with flour. Slice six mild onions and season them with half a grated nutmeg, or more, if you like it. Put some fresh butter into a hot frying pan you may substitute for the butter some cold roast veal gravy that has been carefully cleared from the fat, place it over the fire, and when it boils, put in the rabbits and onions and fry them of a light brown. Then transfer the whole to a soup pot; season it with a very small teaspoonful of sweet marjoram leaves stripped from the stalks, and four or five blades of mace, adding three large carrots in slices. Pour on, slowly, four quarts of hot water from a kettle already boiling hard. Cover the soup pot, and let it simmer slowly, skimming it well, till the meat of the rabbits is reduced to shreds and drops from the bones, which will not be in less than five hours, if boiled as gently as it ought. When quite done, strain the soup into a tureen. Have ready the grated yolks of six hard boiled eggs, and stir them into the soup immediately after it is strained, and while it is very hot. Add, also, some bread cut into dice or small squares, and fried brown in fresh butter. Or substitute for the fried bread buttered toast, with all the crust removed, and cut into very small bits or mouthfuls. Fry three slices of salt pork, crisp, in a deep kettle; take them out and lay in slices of potatoes; flour and pepper them; then lay in slices of fish, which must also be floured and peppered. Put in alternate layers of potatoes and fish, with flour, salt and pepper, till it is all laid in. If you have a fresh lemon, slice it into the kettle. Pour over it boiling water enough almost to cover it. When it boils up, dredge in more flour. Dip a few crackers in cold water and lay over the top, and cover the kettle close. Boil it three quarters of an hour. Use ship bread [also called hardtack or ship biscuit], if it is preferred. Some people add a cup of milk just before it is served. For centuries, chestnuts were a winter staple all over Europe, making appearances in countless dishes and even inspiring holiday songs. Chestnuts have been around since prehistoric times. They started their journey from Asia and the Mediterranean regions. The French and Italians were the first of the European countries to fall in love with them, but they spread rapidly throughout the region. Its no wonder that Sharpe and his men would have been quite familiar with them after their first winter in the Penninsula. It was the rare farmstead that didn't have a sack or two stashed away in a cold corner of a cellar or barn. Highly nutritious, requiring a very short cooking time, and needing little in the way of additional ingredients, a soup that is hearty and full of flavor was often all that cold and weary soldiers had waiting for them at the end of a day's march in the harsh winters in the Penninsula. Chestnuts give a soup a depth and richness that eliminates the need to add cream or indeed anything other than water. Soup was one of the ways in which the tasty nuts could be stretched when in short supply, but when in abundance, they would be consumed roasted, added to stuffings, boiled in syrup as marrons glaces, roasted and mashed to spread on crusty bread, and dried and pounded into powder to replace flour in baked goods. They are also used to make Mont Blanc, a meringue dessert topped with chestnut purie and whipped cream. Fresh Chestnuts mature on the trees between the cooler months from September to November. Use a sharp knife to cut an "X" into each shell. Make sure you cut through the shell, but try to avoid cutting into the actual nut. This will prevent the nuts from exploding during the roasting process. Place inside a chestnut roaster and place over hot coals. If you don't have an open hearth with a nice fire going, place the nuts in a single layer on a baking sheet. Place the sheet into your oven, preheated to 375 degrees Fahrenheit and roast the fresh Chestnuts for about 25 minutes. They can also be grilled or pan roasted. Melt the butter in a large pot over medium heat. Add the celery, carrot and onion, and sweat for a few minutes until they begin to turn translucent, but do not brown. If they start to brown, turn down the heat. After a few minutes, add the garlic, and continue to cook for a few minutes longer. Next, add the chestnuts, stock and thyme to the pot, and bring it up to a boil. Once it is boiling, cover, and reduce the heat to low. Let it simmer for about half an hour, or until the chestnuts are very tender. When the soup is ready, pour it into a blender, and puree until it is very smooth. Pour back into the pot, and bring it almost to a simmer. Pour into bowls, and serve with the chervil on top for garnish. Heat heavy saucepan. Add the oil, butter and chopped onions. When onions turn slightly brown, deglaze with port wine. Add thyme, chestnuts, chicken stock and a little salt and pepper. Cover and cook until chestnuts are tender and the chestnuts have absorbed most of the liquid. This will take an hour or so. Serve as whole-braised chestnuts or pass through a ricer to make a wonderful chestnut puree. For Sharpe, retiring to Lucilles farm, life was a welcome time of peace and quiet. After years of being shot at, hacked up, blown up, beaten on, and generally being treated like canon fodder, being a farmer suited him just fine. Days were full of honest work, good food, a loving home and a caring wife who could actually cook. Long days of harvesting apples, fields of grain, a market garden and putting up hay required more than cold bread and cheese for a midday lunch. Not only in Normandy, but throughout Europe, women saw their men folk off to far fields with a wooden hay box, containing a sturdy kettle full of a wholesome stew or roast, packed into the box tightly with insulating hay. Hay boxes were the first original slow-cookers, used not only for sending meals out to the fields, but in the home to preserve fuel when supplies were short or when it was hot weather or when no one would be around to tend a cook stove. Hay boxes have a long history and have taken many different forms. 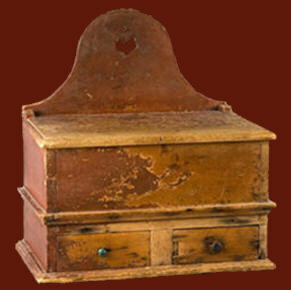 In Eastern Europe, they had been used for centuries in the form of a chest similar to a cedar chest. The chest was filled with fresh hay and a clean cloth was spread over the hay. The pot used the most was pushed down into the hay to form an indentation, or nest, to hold the pot. A long-cooking soup, stew, or porridge would be started cooking very early in the morning. When it was roughly half-cooked, itfood, pot, cover and allwould be placed into a chest, tightly packed with insulating hay and then trundled off to the fields with the men. In the interim, the food continued to cook via its own residual heat, ready a few hours later when needed. These boxes were generally crude, homemade boxes made of wooden slats of almost any sort. Often, they would be painted to look like a part of the kitchen dicor and the interiors would be lined with remnants of wall paper or wrapping paper, before being filled with hay (insulation). Any of the following recipes can be adapted to finish cooking in a modern slow-cooker or crockpot. Place hot ingredients into crockpot, cover and continue cooking on low setting. Place a folded towel on the lid to help contain steam. Cook sausage in water 10 minutes; drain and slice. Put sausage, beans and onion into heavy kettle or Dutch oven. Combine remaining ingredients and stir into bean mixture. Add a little water if mixture is too thick as the beans can absorb excess moisture. Bring to rapid boil. Cook 10-12 minutes. Remove from heat and immediately put well-fitting lid in place and secure in hay box. Insulate the top and close box. Dish will be ready 4 hours later. Stir the oats into the boiling, salted water. Stir well and immediately put the lid on the pot and tuck the pot quickly into the hay box. Porridge will be ready to eat in 20 minutes. Stir before serving. For extra creamy porridge, boil up a full pot before going to bed. Add extra water. Leave in the hay box all night. Over a medium heat, brush a large skillet with the olive oil. Add the tomato paste and cook until the colour darkens, stirring to prevent scorching for about 5 minutes. Stir in the onions, garlic, shallots, leeks, cayenne pepper and thyme and then cook until the onions become translucent and start to caramelize, about 8 minutes. Stir in the red wine and bring to the boil. Transfer the onion mixture to the soup pot. Add the stock, salt and bay leaves. Raise the heat and bring it to the boil. Turn off the heat, secure the lid and transfer the pot into the hay box. Allow to cook for a minimum of 2 hours. Ladle the soup into individual bowls and garnish each with about a tablespoon of grated Parmesan Cheese. In a large frying pan, fry the chicken pieces until well browned on all sides. Remove these and place them to one side. In the same pan brown the bacon and spring onions and then remove them to one side. Place the onions, mushrooms and garlic into the pot. Add the chicken, bacon, spring onion, salt and pepper to taste, thyme, potatoes, wine and stock. Bring the contents to the boil with the lid on and then turn down the heat to simmer for 10 minutes on low. Turn off the heat, secure the lid and transfer the pot into the hay box and close the lid. Leave to cook for a minimum of one hour. Place all the ingredients into the pot. Bring the contents to the boil. Reduce the heat to a simmer. Simmer gently for 30 minutes with the lid on. Turn off the heat and transfer the pot to the hay box. Leave to complete the cooking for 3 to 4 hours minimum. You can add the required vegetables whole with the corned beef while it is being simmered or else you may wish to freshly cook vegetables to serve with the corned beef when you are ready to eat.